Experts warn that millions of rings may be “romantically defective” when compared to the spectacular 4-Carat DiamondAura® Avalon. She loves natural diamonds. She loves you even more. But when even the skimpiest solitaires sell for as much as $1,200, it's time to reconsider your relationship...with diamonds. Have you recently overpaid only to be underwhelmed? Send it back. You can do bolder. You can do brighter. You can own the Stauer 4-carat DiamondAura® Avalon Ring! We rewrote the rules of romance. Only Stauer's exclusive DiamondAura gives you the luxury look of large-carat diamonds for a fraction of the price. The ingenious DiamondAura process involves the use of rare minerals heated to incredibly high temperatures of nearly 5000°F. After cutting and polishing, scientists create a faultless marvel that's optically brighter and clearer with even more color and fire than a "D" flawless diamond. New twist on traditional. 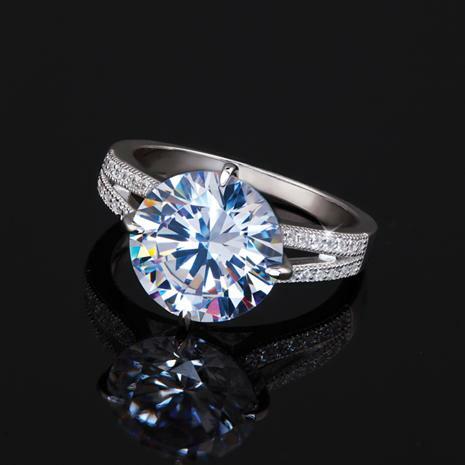 Our exclusive DiamondAura jewelry features all of the classic specifications, including color, clarity, cut and carat weight and is hard enough to cut glass. You get the look of natural stones, without the outrageous cost. Experience the luxury of money in the bank. 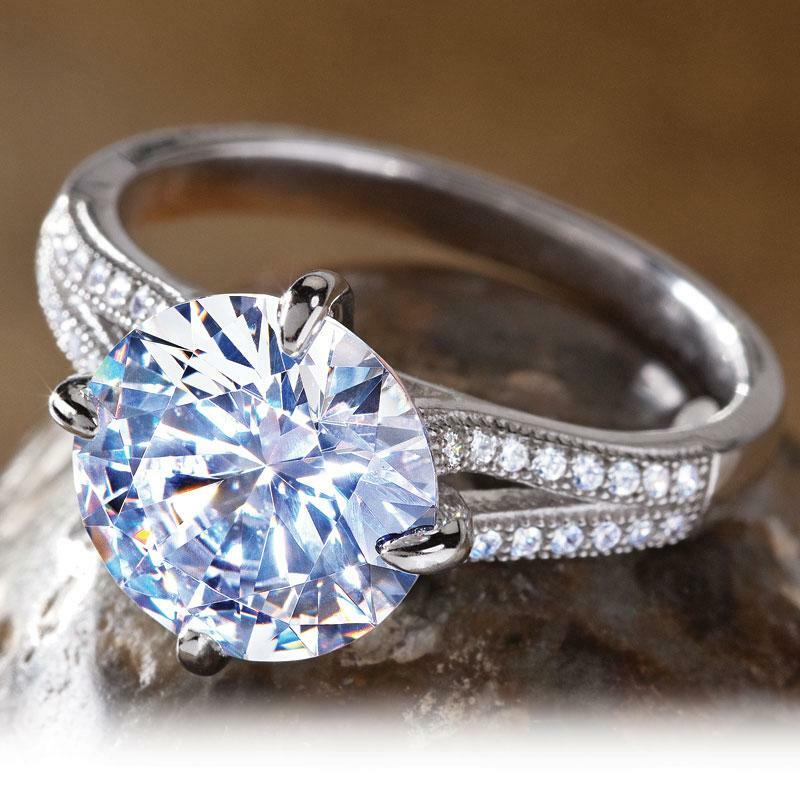 We "built" our own mined diamond version of this ring online at a popular jewelry site and the grand total was $77,767! Today you can wear this 3¾ carat DiamondAura solitaire, accented with 32 gleaming DiamondAura rounds in fine .925 sterling silver. Your satisfaction is guaranteed. If for any reason you don't absolutely adore your DiamondAura Avalon Ring, return it within 60 days for a full refund of your item sale price. But we promise that once you get a look at the Avalon up close, you'll see love in a whole new light.